Online registration for our Ladies Day Luncheon has been extended through September 22. After that, registration will close. Don’t wait until 2019 to join in the LDL fun! Register today. You will be glad you did. 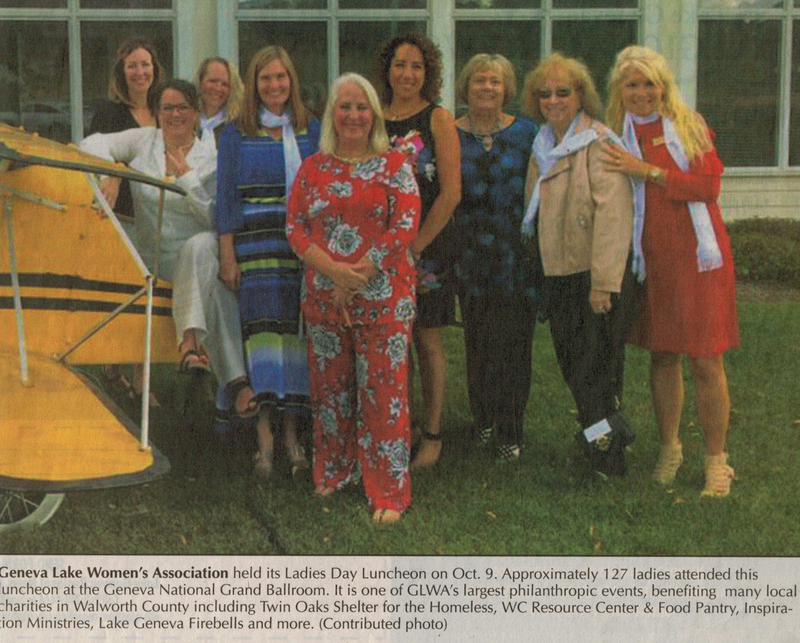 Geneva Lake Women’s Association is holding its 16th Annual Ladies Day Luncheon on Monday, October 1. The Ladies Day Luncheon is our biggest fundraiser of the year. Proceeds go to our philanthropic fund, which supports more than a dozen nonprofit organizations in Walworth County. 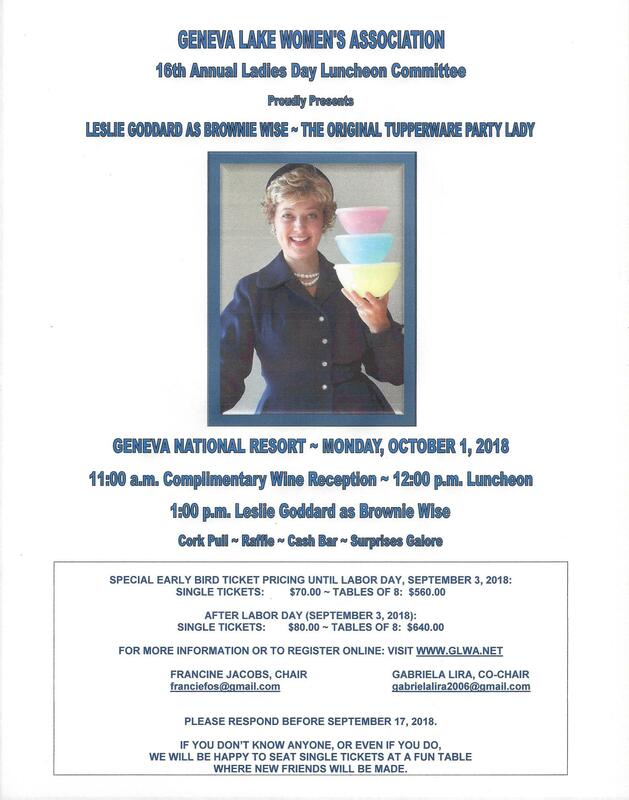 This year’s event features Leslie Goddard as Brownie Wise, the Original Tupperware Party Lady. The event begins at 11 a.m. with a complimentary wine reception, followed by lunch at noon, and the program. There will be raffles, a cork pull, cash bar, and more. Tickets are $70 each before Labor Day (September 3) and $80 after the date. It’s at the Geneva National Resort Clubhouse Grand Ballroom at 1221 Geneva National Ave. South, Lake Geneva, Wis.